The Vassar archives on Mary Shattuck Fisher Langmuir overflow with newspaper clippings announcing her highly anticipated and sought-after appearances across the country—"Dr. Langmuir Speaks Before Arlington PTA," "Dr. Langmuir gives talk on Discipline," "Dr. Langmuir to address junior league"—as well as the numerous articles she wrote on child and family psychology. The thick folders filled to the brim with articles written by and about Mary Langmuir paint the picture of a woman who was both highly respected—and highly respectful—in the field of child psychology. Mary Shattuck was born in Cleveland, Ohio, on September 9, 1899, to Rev. Willard Ide Shattuck, a Methodist minister, and his wife, Emma Dorinda Morse Shattuck. Class treasurer and chairman of the Students’ Association’s Occupation Bureau in her senior year at Vassar, she graduated with a degree in psychology in 1920. In March 1921, she married Stephen Joseph Herben, Jr., a Princeton Ph.D. candidate in English literature. The following year, on his American Scandinavian Foundation fellowship at the University of Copenhagen, she aided his research into the Scandinavian settings of events recounted in the Anglo-Saxon epic poem Beowulf. After a second year abroad at Oxford University where Herben was a Special Coach in Old English, the couple returned to the United States, where Shattuck attended graduate school at Columbia University and Herben was an instructor in English at Princeton. After receiving her Master’s and Doctor’s degrees in psychology from Columbia, she served as a visiting lecturer at New York University and as director of research at the Family Consultation Bureau of the Child Development Institute at Columbia. The couple divorced in 1929, and Mary Shattuck retained custody of their two daughters, Mary Joan and Lysbeth. Shortly afterward, a renewed acquaintance with Willis Fisher, a writer she had known as a graduate student at Princeton, led to their marriage. Fisher adopted her two daughters, who took his surname. 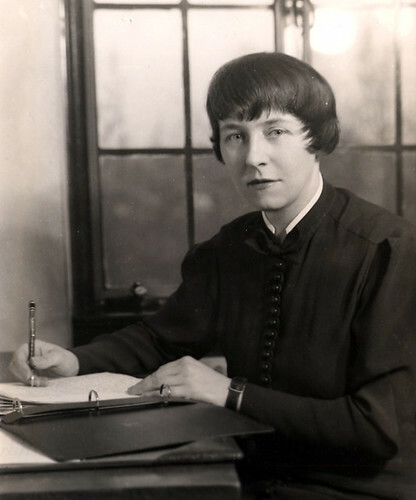 In 1932, Mary Shattuck Fisher joined the psychology department at Sarah Lawrence College, and Willis Fisher joined the Sarah Lawrence English faculty in 1933. The couple subsequently had two daughters of their own, Jane and Judith. Also in 1942, Langmuir was appointed Director of the Vassar War Project, and Chairman of the Poughkeepsie Child Care Development and Protection Committee. It was during these wartime years that she emerged as one of the preeminent authorities on the effects of war and wartime on the family, especially children. Langmuir wrote extensively on what she called the "psychology of war and peace" and on the various ways in which a wartime environment can disrupt or even destroy the family unit. In both her professional and personal life, Langmuir promoted the principle of what she called “Democracy at Home,” which, as she explained in a 1939 speech, posits that: "Democracy not only begins in the home, but is kept alive and nourished there. Democracy is a faith, a way of life, and not a system. It can survive and exist only in a nation of free, individual and cherished homes. Only children who have been valued and respected- for democracy is founded on a belief in the worth of the individual- can themselves treat other people with real respect and understanding. Wherever one individual is used by another for his own purposes, democracy is denied." She also wrote and spoke extensively on the role of women in society and the family, taking the still mostly unpopular stance that women are just as capable as their male counterparts in areas of work and education, and that men are, and should be, just as capable as their female counterparts in the home. Her own home suffered a great devastation in 1944 when Willis Fisher died at the age of 50. Two years later, on January 1, 1946, she married her third husband, Dean Langmuir, in the Vassar College Alumnae House. Langmuir, a prominent investment banker, counselor and entrepreneur, was the brother of Dr. Irving Langmuir, who won the 1932 Nobel Prize in Chemistry for his work in surface chemistry. Also in 1946, Mary Langmuir was appointed president of the Child Study Association of America, which was the first of many in a series of leadership positions in national organizations. Langmuir served on the Surgeon General’s Confidential Advisory Committee on Social Disease, the National Council of Parent Education, the National Council of Maternal Health, the Citizens’ Committee of the National Conference on Prevention and Control of Juvenile Delinquency, the American Parents’ Committee, the Family Welfare Association, and as the associate director of the Institute for the Study of Personality Development of the Progressive Education Association. In 1948, she was named a member of the Technical Advisory Committee of the National Conference on Family Life, which was held at the White House on May 6, 7, and 8. On January 9, 1950 Dean Langmuir passed away. Shortly thereafter, Mary Langmuir briefly left Vassar and America to live and work in England. It was there that she met and married psychiatrist Dr. Alex Essex. Together they established a practice in Wales that provided therapy for coal-miners and their families. Throughout the 1950s and 60s the couple alternated between England and America as Langmuir continued to be an important figure at Vassar and nationally. Her writings frequently appeared in the scientific and popular journals of the day, and her intelligence and knowledge not only cemented her place as an important figure in the academic community but also made her something of a celebrity, often referred to in popular radio programs and in print. Mary Shattuck Fisher Langmuir retired from her position as director of the Summer Institute in 1956 but remained on as faculty advisor until the institute’s closing in 1958. She continued to live with her husband in Wales until his death in 1978, after which she returned to the United States, where she lived until her death, in Maine on January 10, 1994. Biographical File. Mary Fisher Langmuir. Vassar College Special Collections (VCSC). Interview and correspondence, July 2013, with MFL's granddaughter, Sarah Andrews.